Scientists at the Salk Institute in La Jolla have created a new model of memory that explains how neurons retain select memories a few hours after an event. This new framework provides a more complete picture of how memory works, which can inform research into disorders liked Parkinson’s, Alzheimer’s, post-traumatic stress and learning disabilities. The work is detailed in the latest issue of the scholarly journal Neuron. Over the past few decades, neuroscientists have revealed much about how long-term memories are stored. For significant events—for example, being bitten by a dog—a number of proteins are quickly made in activated brain cells to create the new memories. Some of these proteins linger for a few hours at specific places on specific neurons before breaking down. This series of biochemical events allow us to remember important details about that event—such as, in the case of the dog bite, which dog, where it was located and so on. One problem scientists have had with modeling memory storage is explaining why only selective details and not everything in that 1-2 hour window is strongly remembered. 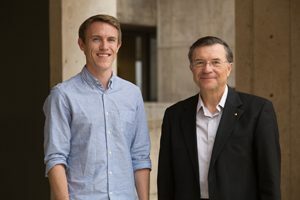 Sejnowski and first author Cian O’Donnell, a Salk postdoctoral researcher, developed a model that bridges findings from both molecular and systems observations of memory to explain how this 1-2 hour memory window works. The new model also provides a potential framework for understanding how generalizations from memories are processed during dreams. By applying their theoretical findings on overlap activity within the 1-2 hour window, they came up with a theoretical model for how the memory abstraction process might work during sleep.